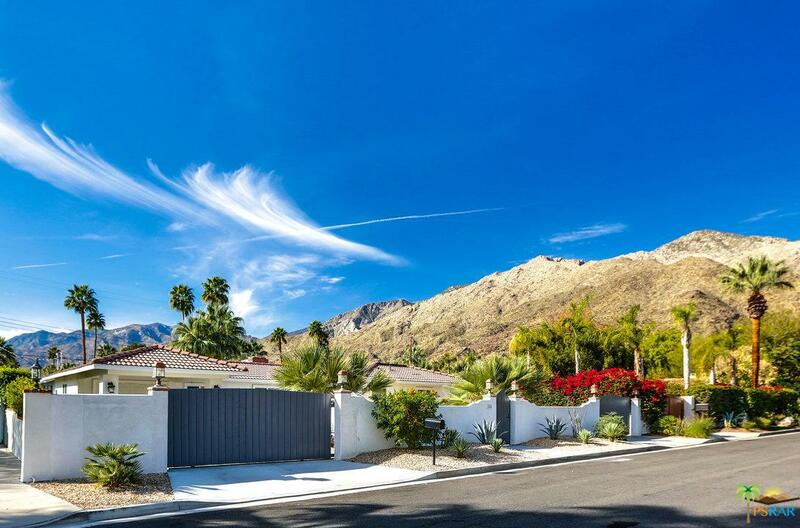 Take advantage of the unique opportunity to own this remodeled and expanded 1941 Old Spanish with separate guest house in Tahquitz River Estates! Taken down to the studs in 2015, all major components have been upgraded and replaced including roof, plumbing, electrical, AC, water heater, exterior stucco, windows, doors, hardware, 24" travertine flooring, cabinetry, kitchen and baths. Re-plastered pool/spa with new equipment, too. A recent addition enlarged both bedrooms and added a laundry room. New 1-car garage with a portico. The main house has vaulted ceilings, fireplace and an open kitchen with breakfast bar, slab surfaces and stainless appliances. Two separate living areas are divided by the fireplace. Arched doorways add to the charm! Light and bright with lots of windows and doors. Guest house has full kitchen, living room, bedroom and bath with laundry. Spectacular views from the pool with elevated spa. New concrete, too! Furniture available outside of escrow. 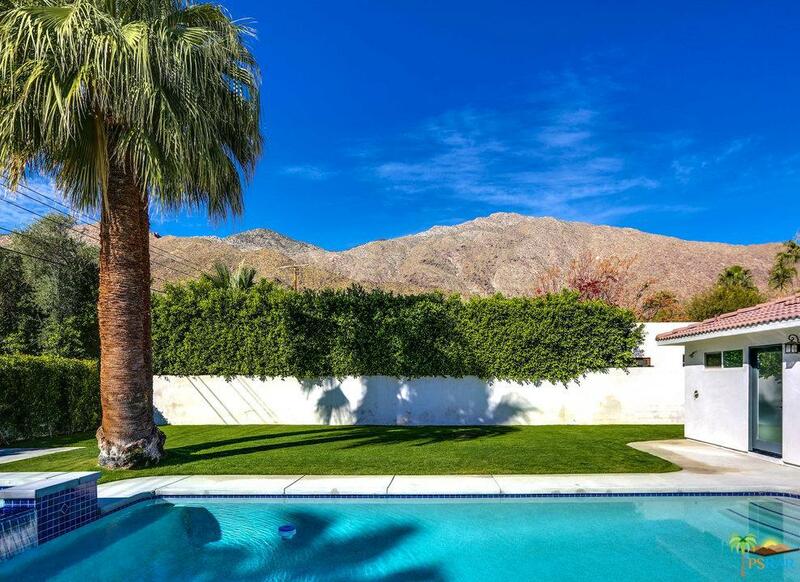 Sold by Scott Timberlake BRE#01244607 of Realty Trust.